Although they only affect a very small percentage of the millions of deals done on eBay, there are some fakers and fraudsters out there. While these tend to be clamped down on quickly, here’s what to watch out for when buying and selling. Fake or ‘shill bidding’ happens when sellers ask friends or family to ‘bid up’ the price on their items; the idea being to boost the final sale price. But it’s not allowed and anyone caught doing this can be struck off. If you’re regularly outbid by the same bidder, check their ‘his­tory’ to see if they regularly bid on this seller’s items. To do this, click on their ‘user’ name to see what they’ve bought. Fake bidders tend to bid regularly on items from just one seller. Check the seller’s feedback; is it from different users? 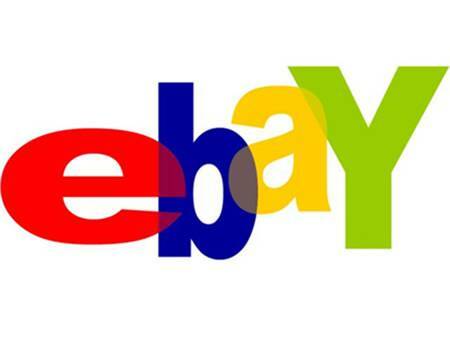 Lots of posi­tive feedback from the same eBayers could be a sign of ‘fake’ deals. That old cliche, ‘you get what you pay for’ is usually true, so it’s unlikely you’ll unearth serious designer goods for Primark prices. If there are several sellers selling the same item but just one has no bids or a much lower price, be wary If others have avoided it, is this for a reason? Read listings carefully; spelling mistakes on designer brands could indicate items are fake. Check the wording; phrases such as ‘like’ can indicate it’s not the real thing. Always email the seller to check the brand if it’s unclear; if you don’t get a prompt and detailed response, steer clear. Watch for CDs, DVDs or video games listed as being bought in Thailand or parts of Asia as they may be counterfeit. These can be anything from suspicious emails asking for your PayPal account details to spoof mails supposedly from eBay claiming they need verification of your account. Never follow the links; log on to your account using the official sites. There’ll be information there about where to forward ‘spam’ mails. If you get a genuine email from eBay it should appear in the message box of your ‘My eBay’ section. You’ve been outbid but then the seller contacts you with a ‘second-chance offer’. This may be genuine if the original buyer pulled out, or it could mean the item was ‘bid up’ by a friend who’s now ‘won’ so the seller has to offer it elsewhere. Email the seller and ask why the original bid fell through – is the reason plausible? Stick with the eBay system; don’t act on personal emails or being contacted ‘out of the blue’ by a trader.